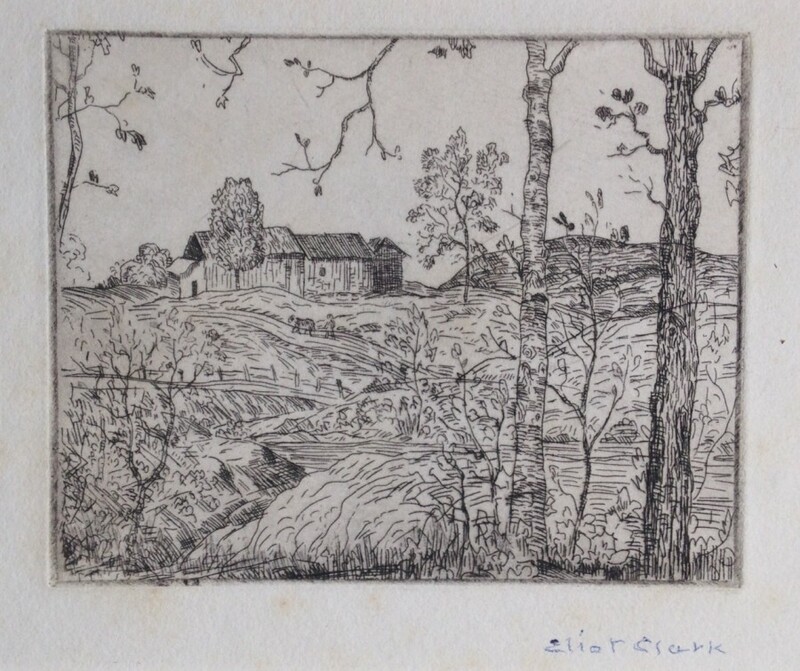 From an early age Eliot Clark led a privileged life and was greatly influenced as an artist by both his parents. 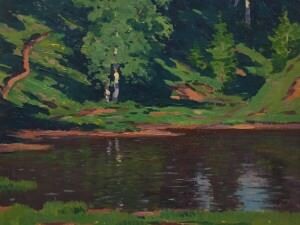 His father, Walter Clark, was an established landscape painter who had nothing but encouragement for his son. 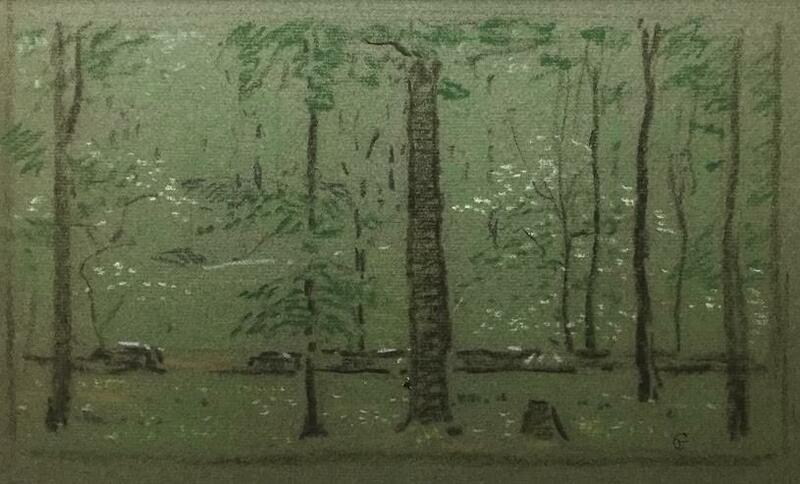 Eliot was a child prodigy. 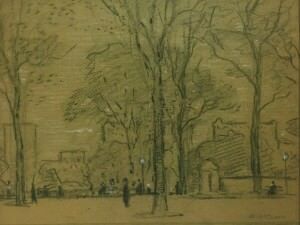 At the age of eleven the young artist exhibited in the New York Watercolor Club exhibitions and had begun a professional career by age fifteen. 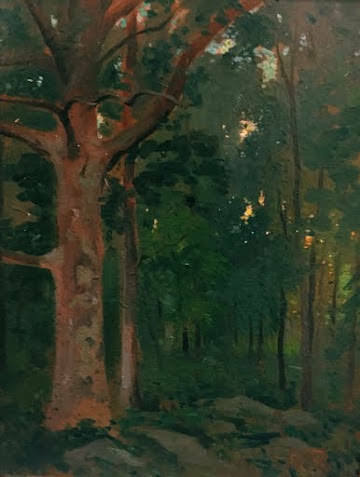 In his early paintings, Clark used subtle colors to evoke the mood of nature; he would continue as “nature’s mediator” throughout his career. 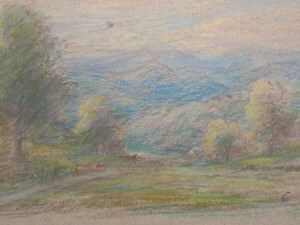 Young Clark traveled with other landscape painters including his father to various summer art colonies and it was during these summers that he met a number of older, influential artists including John H. Twachtman. 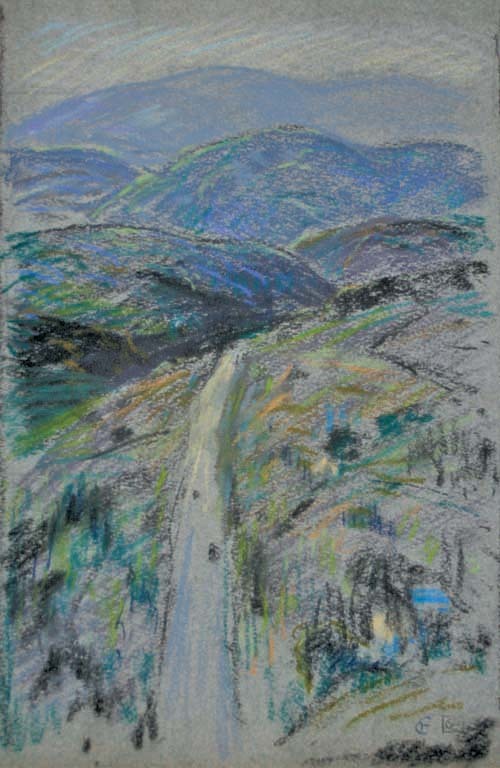 In 1897, he took formal classes with Twachtman at the Art Students League in New York City. 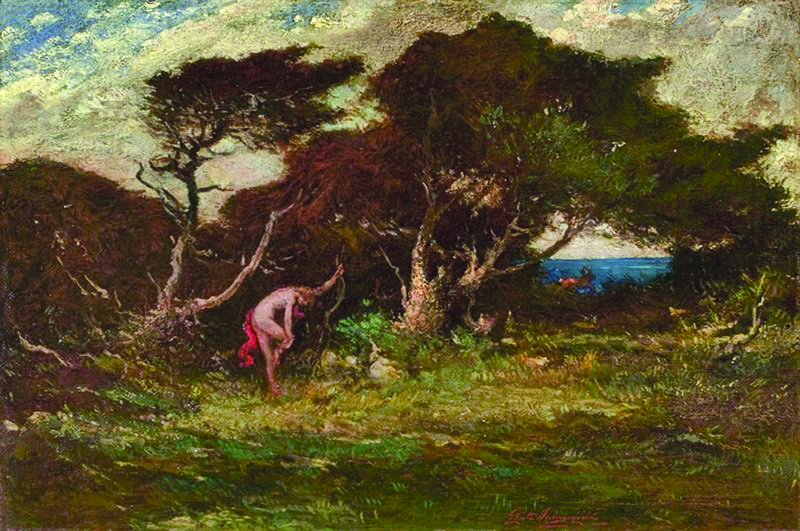 Clark traveled to Europe in 1904 for a two year period of independent study during which he became strongly influenced by the Barbizon painters and the impressionists. 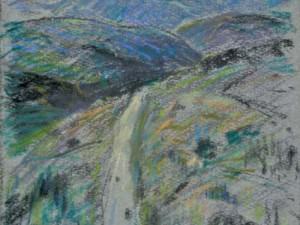 Some of the trip was done by foot and Clark used every opportunity to commune with nature and paint en plein air. 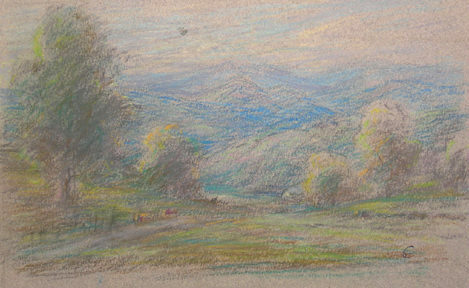 By 1920 Eliot Clark had already exhibited his work extensively nationwide. 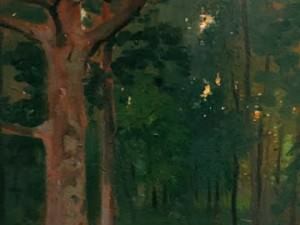 In 1912, he won the Hallgarten Prize for artists under the age of 35 at the National Academy of Design in New York. 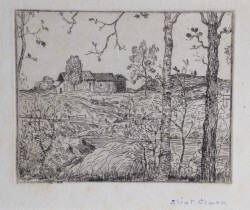 Clark also taught at the Art Students League from 1919 to 1922 as well as lecturing at the Nicolas Roerich Museum. The artist was married to his first wife in 1922. 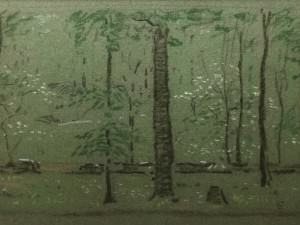 They lived in Kent, Connecticut until divorcing in 1932, at which time Clark made his first extended visit to the mountains of Virginia, accepting a teaching position at the University of Virginia. 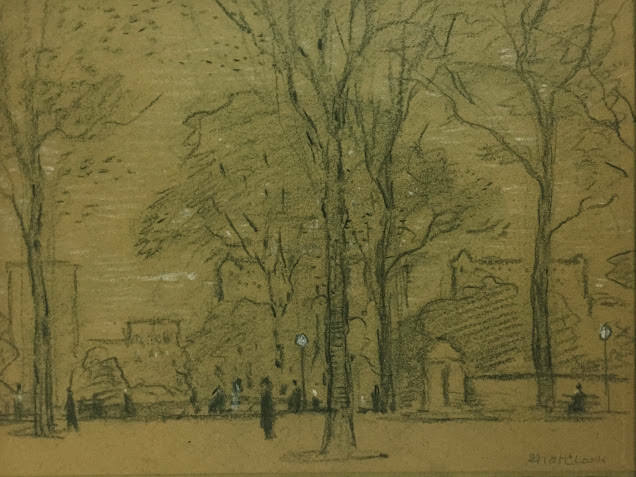 The artist committed himself to extensive international travel beginning in 1935, and by 1944 Clark was remarried, had a flourishing career, and was elected a member of the National Academy of Design. 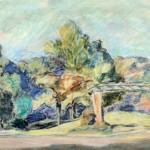 In 1959, Eliot Clark returned to Charlottesville, Virginia where he continued to paint and write until the end of his life. 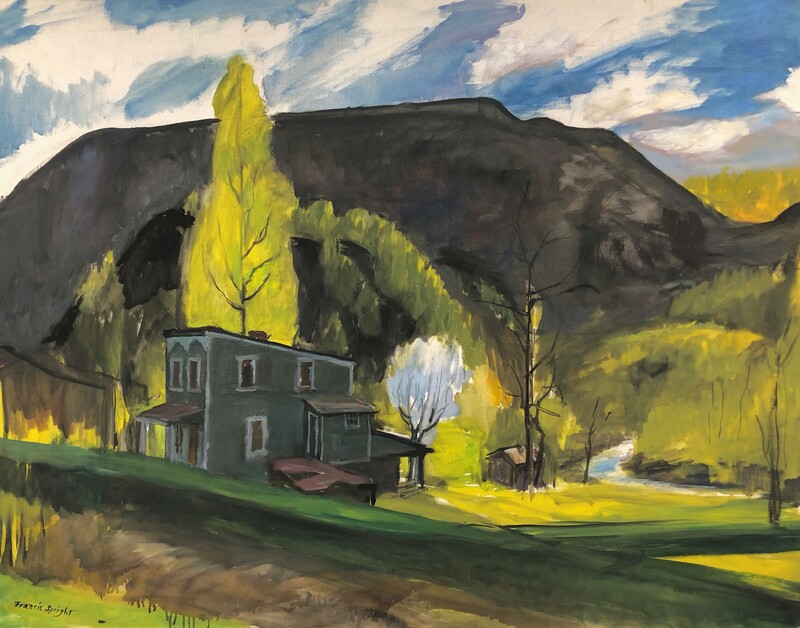 The University of Virginia Art Museum in Charlottesville honored Clark with a retrospective exhibition in 1975, just five years before he died at the age of ninety seven.